Large, small and standard size kitchen sink plugs from Lira, Franke, McAlpine and more. If your original plug is a pop-up type, be careful with the replacement as pop-up plugs are often a non standard size. 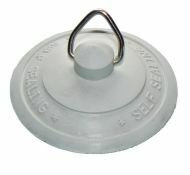 We also have a range of plugs for bathroom basins (they have a smaller plug hole than that found in a kitchen sink). 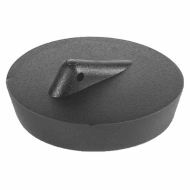 This McAlpine BP5 kitchen sink plug measures 57.1mm across the top (2-1/4 inches). This IS NOT a suitable replacement for a Franke / Lira plug. 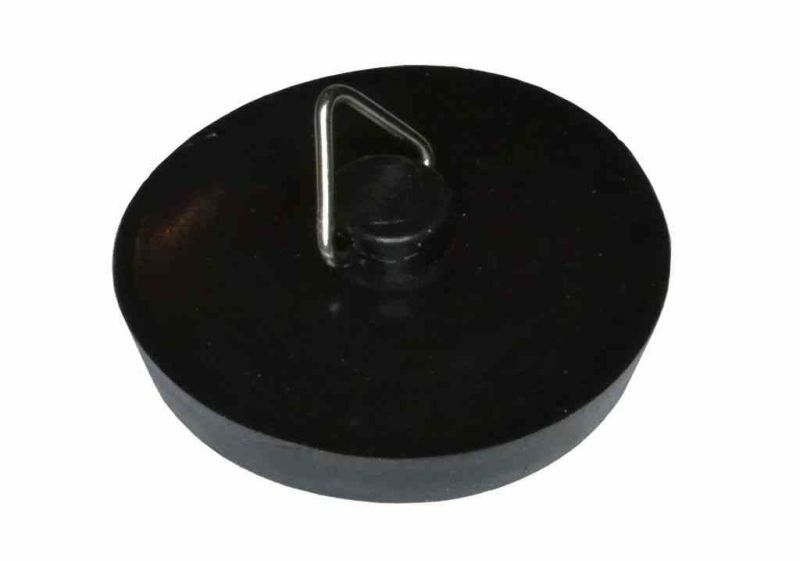 Standard black kitchen sink / bath plug (without chain). Chrome plated brass kitchen sink / bath plug (chain not included). McAlpine CP2 chrome plated plastic kitchen sink plug. Makes a great replacement for a standard bath / sink plug. 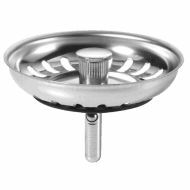 Franke / Lira basket strainer plug, as supplied with many Franke kitchen sinks made before September 2008. Bottom of plug is marked LIRA ITALY and No. 008445. 2 Inch Franke / Lira kitchen sink plug with chain. Top of plug is marked BREVETTATO, underside is marked Italia LIRA brev No 00252. 2 inch Franke / Lira kitchen sink plug with handle. Chain for your kitchen sink plug, approx 15 inches long. McAlpine CP2H chrome plated plastic kitchen sink plug with pull handle. 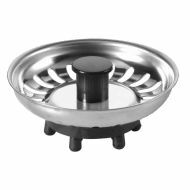 McAlpine BSKTOP stainless steel basket waste sink plug - rubber finger type. 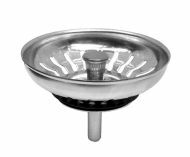 McAlpine BWSTSS-TOP stainless steel basket waste sink plug. Suits many newer Franke sinks (mainly after September 2008). Pack of 10 chrome plated triangles for the end of your sink / bath / basin plug chain. Self parking universal plug, suits bath, basin and kitchen sink. Fits a range of plug hole sizes from 1-1/2 to 2 inch.